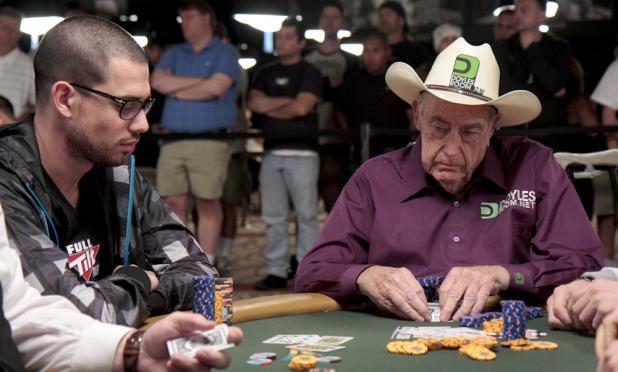 With 32 players remaining in Event #2 ($50,000 Player's Championship), Doyle Brunson (right) is all in against Nick Schulman in a hand of seven card stud hi-lo. With one card to come, Schulman had the best hand, but Brunson caught an ace on seventh street to win the pot with two pair and double up in chips. 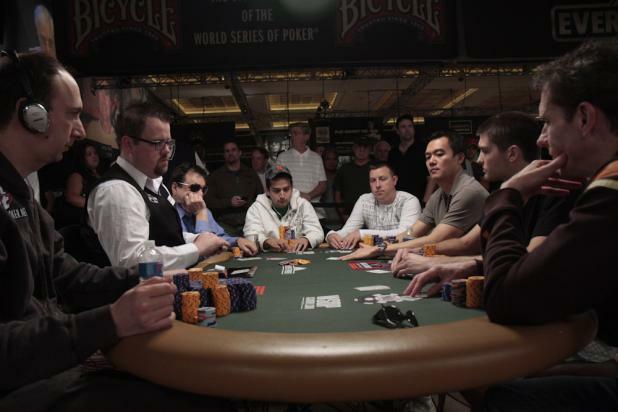 Brunson's luck didn't last long, however, as he was eliminated in 30th place a little while later.